A retail tipster sends word that Walmart will be selling an Xbox 360 Arcade with a $100 gift card for $199 this Saturday. 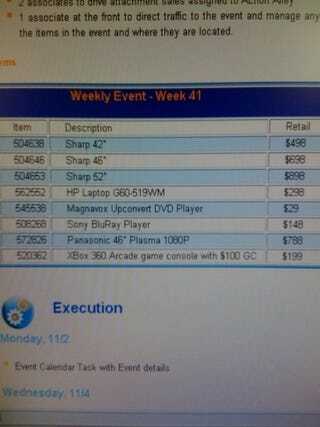 The retailer will also be selling a Sony BluRay player for $148, according to our source, who included an image from the retailer's computer system showing the deals. Sounds like a great deal or two, though as with all rumors, make sure to take this with a grain of salt until we can get verification or the official news hits on Wednesday.